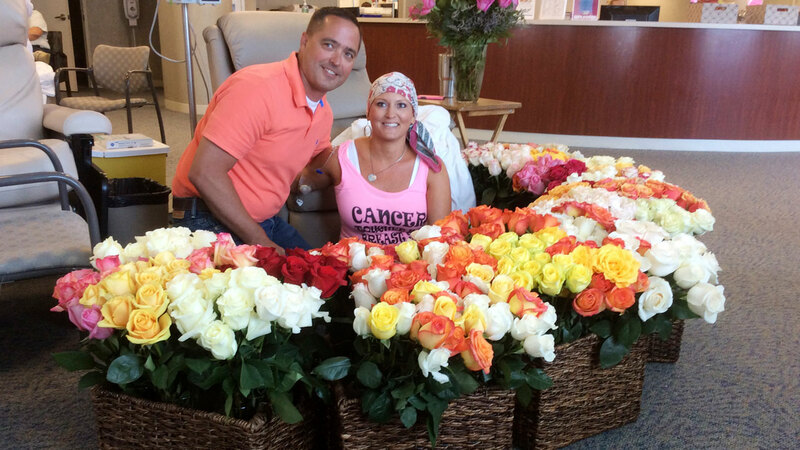 OMAHA, NE -- A dozen roses simply weren't enough for a Nebraska man who wanted "to do something special" for his wife to celebrate her last chemotherapy treatment. So, he raised money and surprised her with 500. Video of the surprise shows Alissa Bousquet's repeating "holy moly" in disbelief as friends and family delivered 36 vases of roses to her at the Methodist Estabrook Cancer Center in Omaha. Husband Brad Bousquet writes that he secretly texted wife Alissa's friends and family to help with the effort. The roses sold for $10 each with the proceeds going to the Susan G. Komen Foundation for breast cancer research. He says the rose drive raised more than $4,500. Bousquet writes that the flowers were shared with other patients at the hospital.